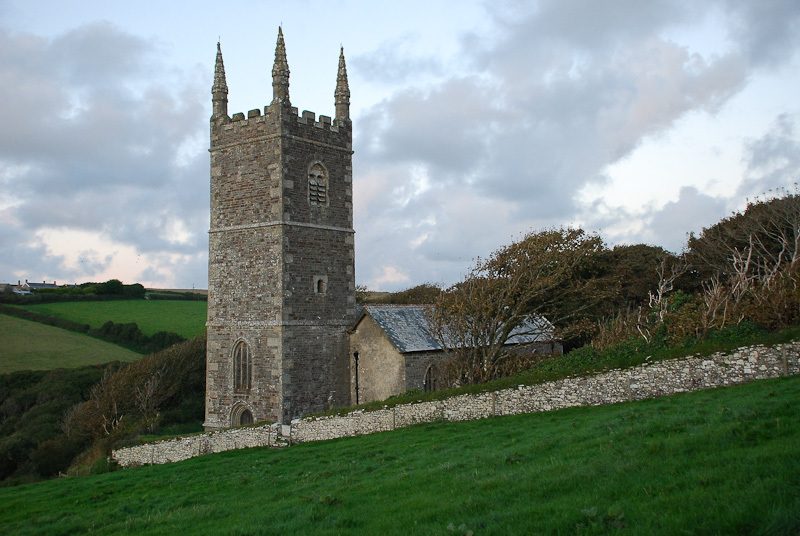 Morwenstow’s ‘dark grey tower of days unknown’. 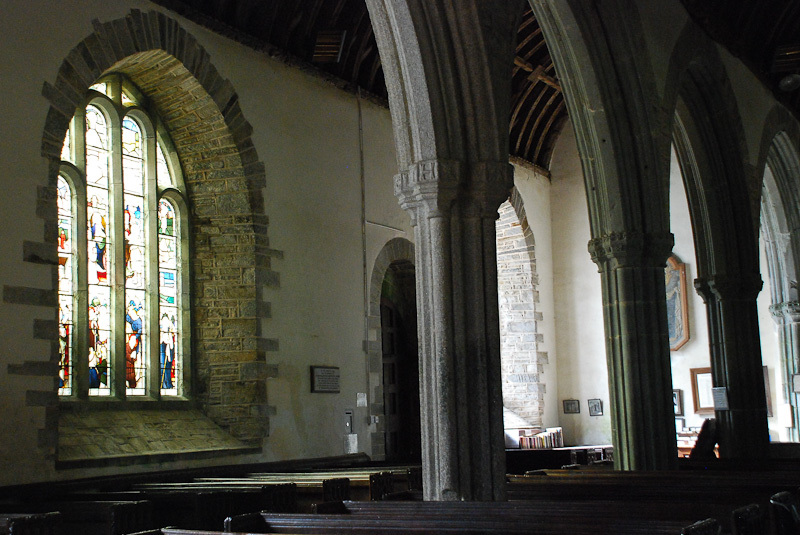 The oldest parts of the church date back to the 12th century and an endowment of 1290 still exists in the Registry of the Diocese of Exeter which records that ‘the monks of S. John at Bridgewater, in whom the total tithes and glebe-lands were then vested, had agreed at the request of Walter de Brantyngham, Bishop of Exeter, to further endow the altar-priest with the consecrated ground lying to the west of the court and crofts of the Parsonage of the aforesaid Church, up to the old way leading to the sea, and down to the stream in the valley, with two crofts by the church on the north, and the rest of the land there up to a certain fountain of John, containing four acres and more of land; with a full tenth of the great tithes of the vill of Stanburie and of the three vills of Tunnacombis’. Above the Norman doorway on the south side of the church is an 18th century sundial with the inscription ‘Life is like a shadow’. Before the Reformation an effigy of the patron saint would probably have occupied a niche on this spot. 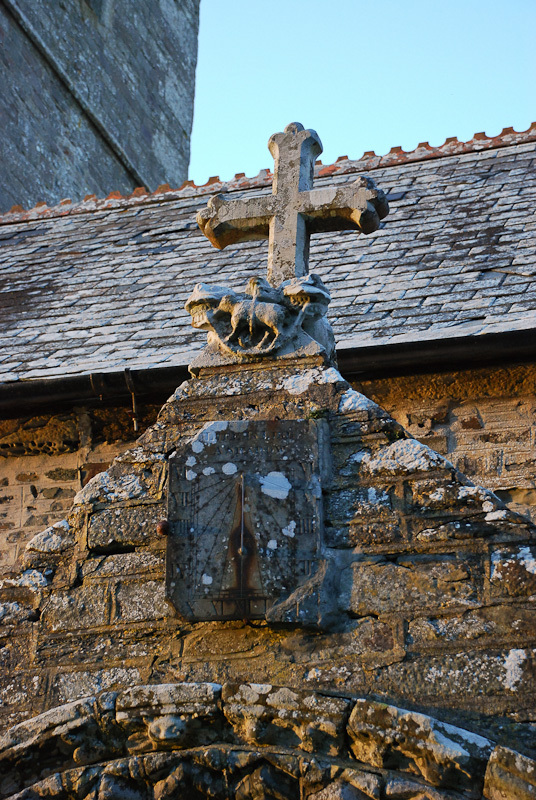 Above the sundial is a carving of a lamb and flag flanked by two grotesque animal heads. 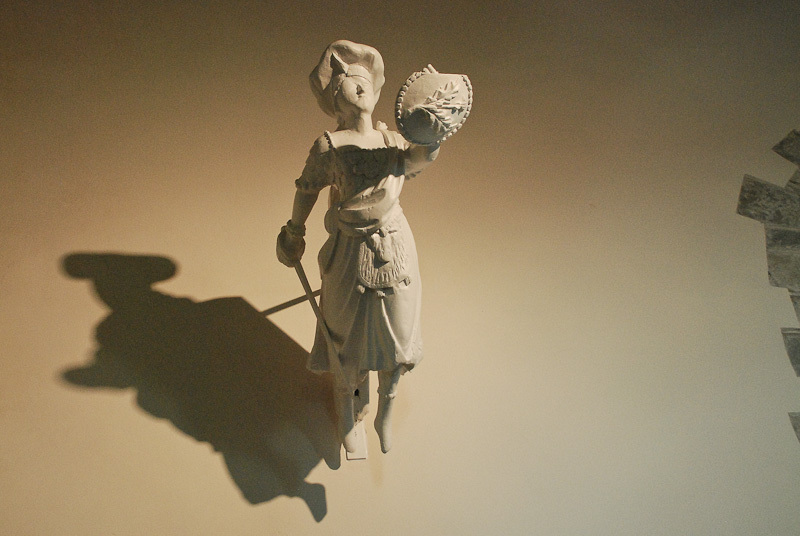 And lift the hollow roof in air…. 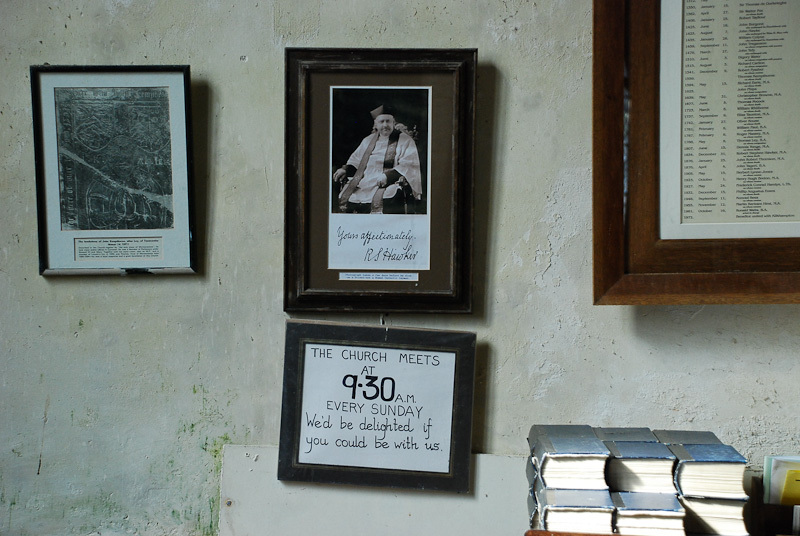 Hawker’s portrait, made in Plymouth shortly before his death, hangs to the left of the entrance, beneath the C18 memorial to Grace Coryndon. 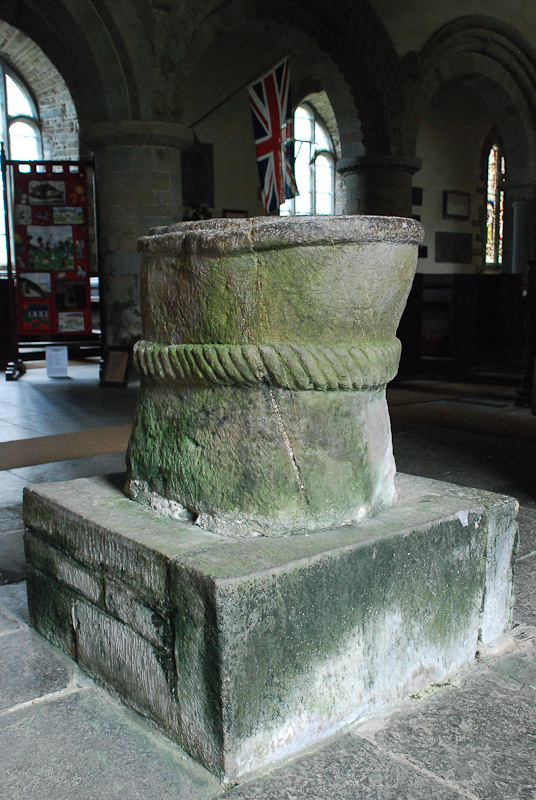 The font is one of the earliest features of the church. The roughness of the basin and the outer decoration of an irregular incised cable suggest that it may well have survived from an earlier Saxon building. 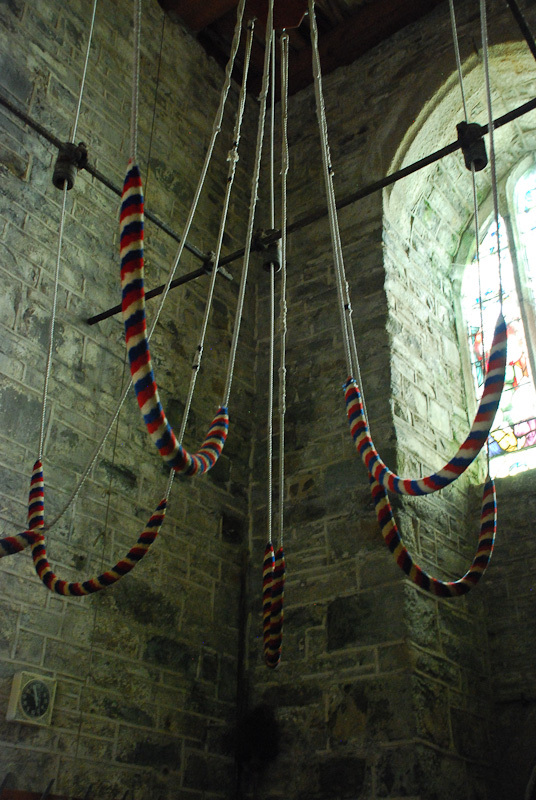 The 15th century bell tower chamber. 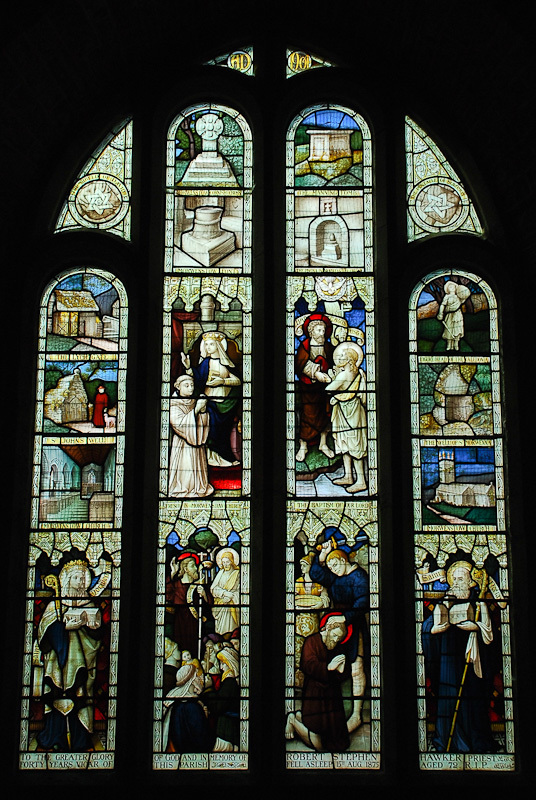 Memorial window to Robert Stephen Hawker, dedicated on 8 September 1904 by his successor, the Reverend John Tagert. The original figurehead of the 200-ton brig, the Caledonia, wrecked on the rocks at Sharpnose point in the early hours of 8 September 1842, is now on display inside the church. Although more than eighty wrecks were recorded in the neighbourhood of Bude between 1824 and 1874 the loss of the Caledonia with the deaths of all but one crew member was the first major disaster since Hawker’s appointment as Vicar of Morwenstow. 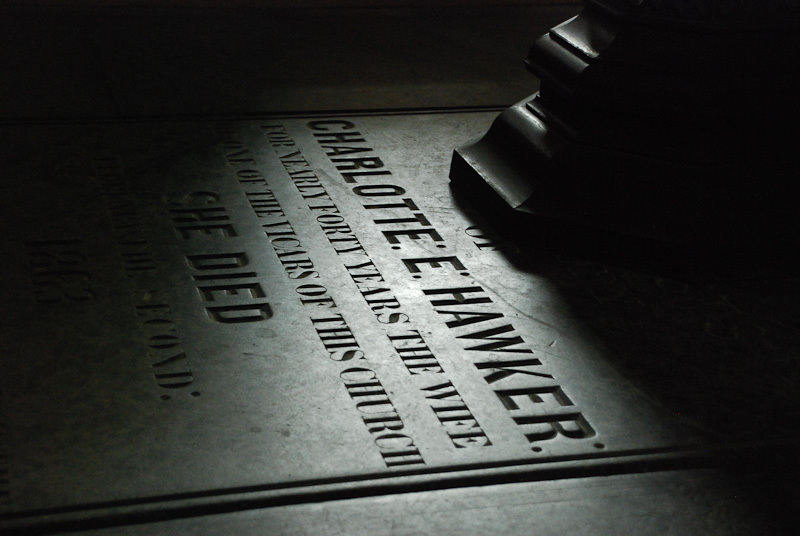 Hawker’s first wife, Charlotte, died on 2 February 1863 and was buried ‘just outside her Seat door in Church where the Chancel meets the Nave’. She was eighty years old and her health had been failing for some time, but they had been together for forty years and Hawker was desolate without her. 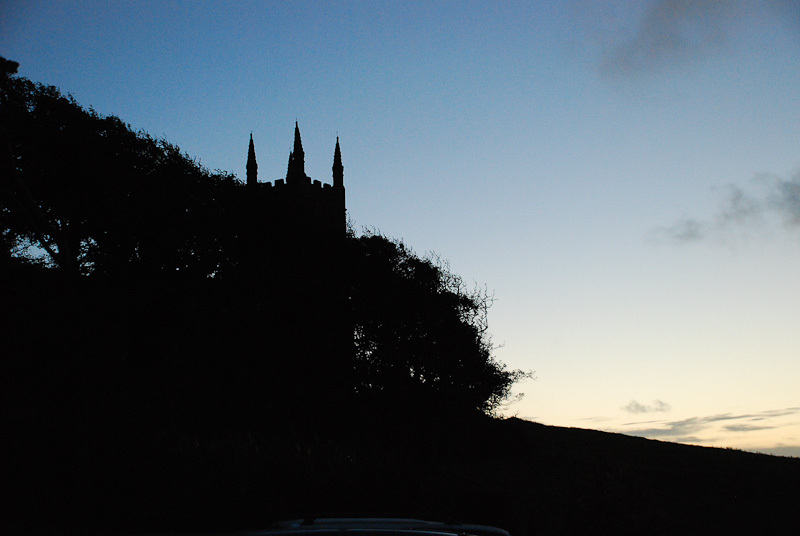 A view of the church tower at sunset, from the gardens of the Old Vicarage. I got very inspired by St. Morwenna and have named my daughter after her. God Bless You All.